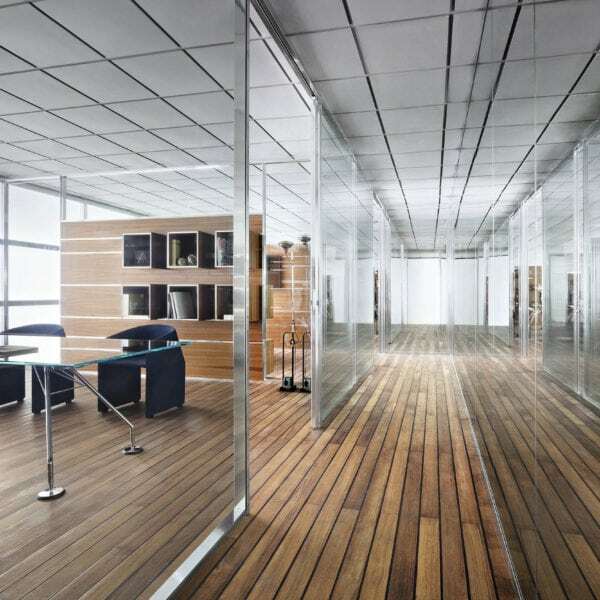 From the division of the spaces to the furniture, Tecno combines the rigorous architecture typical of the district buildings with an environment reflecting the technological spirit of the company, according to the specific request by the customer. For the project Tecno uses W80, the highly performing partition with a strong aesthetic impact, both in the glazed and equipped versions. 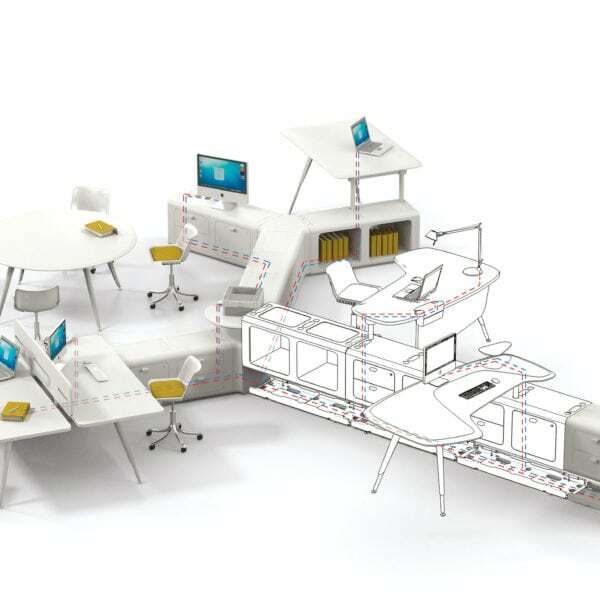 The Beta workstation system, in white lacquered version with ochre accessories, has been chosen to re-design spaces for the operations offices. The family of Nomos tables, iconic collection signed by Norman Foster, livens up the meeting and management area: the large sized white table is intended for the meetings, while a squared one with black nickel structure and Marquina marble top has been chosen for the CEO office. Nomos can but be combined with Vela, the latest Tecno management seat with a highly technological mechanism hidden by a simple yet elegant design. The refined aesthetic impact is strengthen by the upholstery chromatic choice opting for the yellow tones. Finally, the personal taste of the CEO, admirer of the beautiful Italian design, has led to the choice of some of the most classical icons – the historical P32 and P40 lounge armchairs together with the AT16 coat hanger – signed by Osvaldo Borsani. 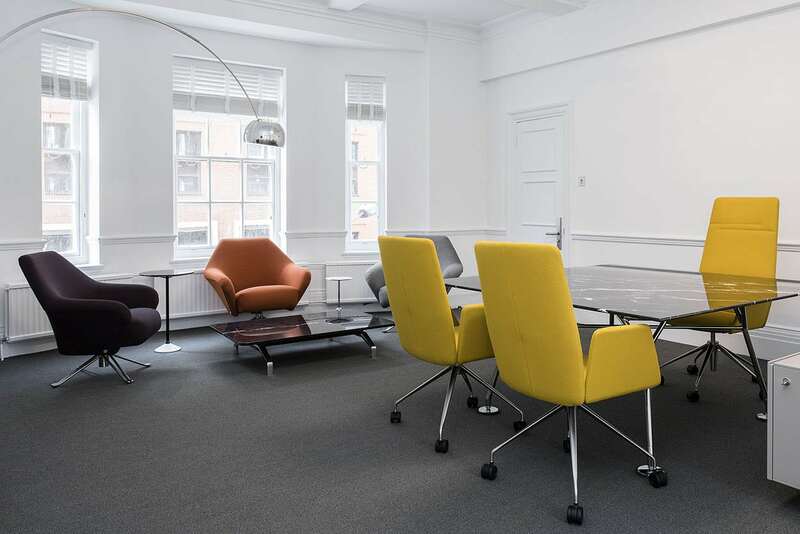 Beta is as an office work system capable of responding to the multiple needs of modern working environments. It facilitates the reconfiguring of space, adapts to new ways of working and satisfies the needs of the latest IT systems, evolving efficiently over time.